For dogs that have developed this painful condition you may be wondering what to expect and how to help them. 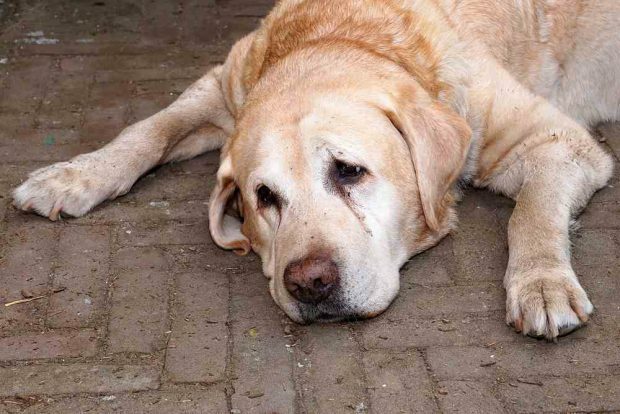 Pancreatitis is treatable but can make your pet very ill. The pancreas is a very important organ. Better known for its role in insulin production (the lack of insulin is diabetes) it also produces digestive enzymes to help break down food in the small intestine. In pancreatitis, inflammation leads to premature release of these harsh digestive enzymes within the pancreas. Usually these enzymes are safely stored within granules until they are ready for release into the duodenum. The pain of pancreatitis is due to this massive inflammatory cascade within the pancreas and autodigestion of pancreatitic tissue. The toxins released due to this process can affect many other organs in the body. 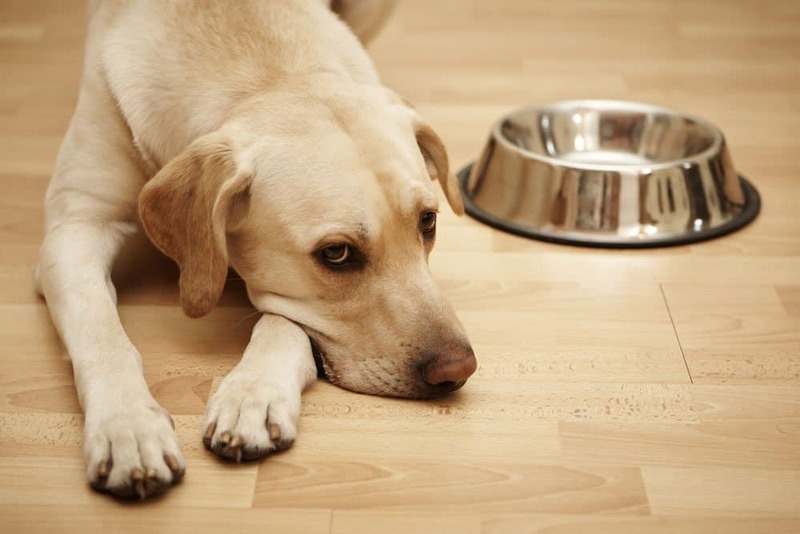 Dogs with pancreatitis are often lethargic, not eating, have vomiting and/or diarrhea and are often painful. They may sit in a ‘prayer’ position, with their front legs stretched out to take the pressure off the abdomen. They may also have diabetes if the inflammation in the pancreas is sufficient to interrupt insulin production. One of the primary symptoms of diabetes is increased thirst. In severe cases dogs will present collapsed, with signs of shock and perhaps breathing difficulties and hemorrhages on the skin. Trauma – such as from a car accident or surgical procedure and localized poor blood flow. Drugs- some medications such as chemotherapy drugs and seizure medications are thought to be potential triggers for pancreatitis. It used to be thought that steroids (as used for allergies) caused pancreatitis, but this myth has now been debunked. Breed – Schnauzers have altered fat metabolism that predisposes them to pancreatitis. Fatty foods – in some cases a high fat meal such as a marrow bone, bacon or a sausage is thought to trigger pancreatitis, however there is not always a history of fat ingestion. Endocrine diseases – pets with diabetes, hyperadrenocorticism and hypothyroidism are at increased risk of pancreatitis. If your vet suspects pancreatitis blood tests are used to diagnose the disease. Often there will be changes indicating liver damage, dehydration, inflammation and bleeding problems. Your vet may also recommend radiographs or an ultrasound. In order to differentiate between acute and chronic pancreatitis a biopsy is needed, but this requires surgery and is not always done for acute cases. The diagnosis of acute versus chronic pancreatitis is often not technically reached. This differentiation requires a biopsy of the pancreas via surgery or laparotomy. In more chronic cases, long-term damage and scarring within the pancreas is irreversible. Acute cases of pancreatitis can be very severe and life-threatening, but the damage to the pancreas is repairable. The presentation is not always indicative of whether the damage is acute or chronic. 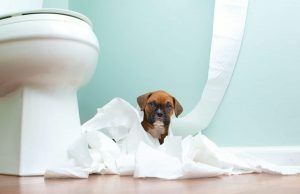 In some cases that have an acute or sudden presentation, there has actually been chronic damage, that was low-grade enough not to make your pet significantly ill. Dogs are often very good at hiding their problems and not letting on that something is wrong. For the purposes of treatment it is not necessary to differentiate between the two. Dogs with pancreatitis, unless only mildly affected, usually need hospitalization. They are placed on intravenous fluids to rehydrate them, medications to help with nausea and vomiting, strong pain relief and restricted feeding. Some need feeding tubes, antibiotics and plasma transfusions. For long term management, dogs with pancreatitis should avoid fatty foods, though there is no evidence to support any benefit of fat restriction for cases of acute pancreatitis. Some dogs will be able to go back to regular food, but some may require low fat diets for life. In most cases pancreatitis is not fatal, but it can require very aggressive treatment and management by your vet. If you have any reason to suspect pancreatitis, please seek help early. Your vet is the best person to advise you on the treatment recommendations for your individual pet and budget. What does it mean for my dog? For most dogs who have even the more chronic form of pancreatitis, they can go on to lead happy, comfortable lives. They will need to avoid fatty foods and weight gain, and may end up with a repeat bout of pancreatitis in the future, even with good diet., Otherwise they can recover from an episode brilliantly with no obvious long-lasting effects. Collars, Leads and Harnesses: Which is Best for My Pet?